Waskaganish 350th Anniversary Video from Zerosum Video Productions on Vimeo. The seasons were filled with celebrations that marked the occasion in a way that was truly in alignment with Cree way of life. Starting on June 16 until the final event on November 24 the community was filled with music, artistry and activities that promoted the spirit of a truly vibrant community. The event hosted delegates from across Eeyou Istchee including Grand Chief Dr. Abel Bosum, Chiefs from all Cree Nations and across Canada. The occasion was also met with well wishes from representatives from the Hudson Bay Company and Prime Minister Justin Trudeau among numerous others. You can learn about Waskaganish’s history and see many beautiful photos from the celebration on Waskaganish’s website. 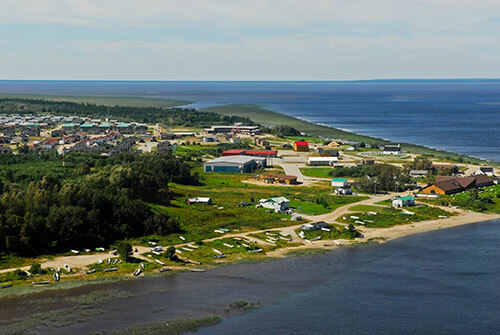 On behalf of the Grand Council of the Crees (Eeyou Istchee)/Cree Nation Government we would like to once again extend our warmest congratulations to the Cree Nation of Waskaganish. Your celebration resonated across Eeyou Istchee as a moment of pride for all Cree people.